Heartburn is a painful burning sensation in the upper abdomen or chest below the breastbone. This pain is caused due to the reflux of stomach acid into the oesophagus which in turn is triggered by the relaxation of the lower oesophageal sphincter (LES) muscle which in normal conditions remains tight at the stomach entrance and prevents acid up-flow. The relaxation of the sphincter is caused due to various reasons but most common ones are poor diet, unhealthy lifestyle, obesity, smoking, and alcoholism. Though heartburn can be treated easily with the help of simple medications and herbal remedies, its negligence can lead to a more chronic ailment called gastro-oesophageal reflux disease (GERD). Fennel is a perennial plant with pleasant smelling bright yellow flowers. It is native to Mediterranean areas but is found all over the world. Its seeds are used for edible purposes as well as for medicinal reasons. Dried seeds of fennel are used to make tea, oil, and medicines. It tastes and looks similar to that of anise but is not to be confused with it. It also shares similar medicinal properties with anise seeds and is used to treat various gastrointestinal tract disorders such as heartburn, colic, indigestion, cholera along with others such as coughs, respiratory problems, bronchitis, backache, and visual problems. Fennel oil is used in food and in certain laxatives as a flavouring agent, and as a fragrance component in soaps and packaged food items. It is also sometimes used as a poultice for snake bites. Fennel is said to have antispasmoic effect on the muscles which is predominantly a reason why it relieves heartburn and other stomach problems. However, it also has several other properties which add up to its medicinal effects on the gut. When given in higher concentrations, fennel seeds act as anti spasmodic for the stomach. Stomach muscle spasms are one of the main causes of pain in the chest due to heartburn. When the acid contacts the walls of the oesophagus and damages them, the nerve signals initiate spasmolytic activity in the gut and cause the burning sensation and pain. Fennel seeds have been shown to relax the stomach of the stomach and inhibit the spasms, thus reducing the pain caused from acid reflux . The major constituents of fennel and majorly fennel oil have been found to be Cis-anthenol and fenchone . Both these compounds are responsible for the characteristic fragrance of fennel and also for its antispasmoic effect. These phenolic compounds are antinociceptive in nature which means that they reduce the sensitivity towards pain stimuli . This is supposed to be the predominant reason for the ability of fennel to reduce pains. A stomach pain in infants is called colic and is a major cause of infantile discomfort. The only medication available for colic in infants is dicyclomine hydrochloride which sometimes has been shown to exert grave side effects on the newly born. Fennel seed tea has been shown to be very effective in treating infantile colic by relaxing the spasms caused in the stomach . 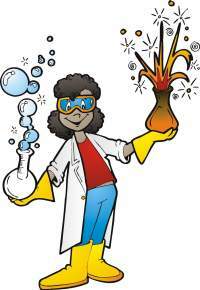 Gas or flatulence is a painful by product of heartburn caused due to indigestion. Fennel seed teas and decoctions have been found to be highly effective for relieving flatulence and enhancing digestion. This further prevents the upcoming pain attacks due to the movement of gas in the stomach. These carminative effects of fennel are attributed to the odorant compounds found in the seeds which have high medicinal properties . Indigestion and consequent heartburn is sometimes promoted by low gastro oesophageal motility. The food and the stomach acids are unable to pass down due to less motile tract and cause pain. Fennel seeds have been shown to enhance the gastro oesophageal motility which helps push food downwards properly so that indigestion and acid reflux is prevented, thus amelioration the pain . Oxidation and inflammation are important consequences of heartburn which exacerbate the pain and lead to ulceration, gut wall damage and even cancers. The acid reflux exposes the walls of the oesophagus to the strong acid of the stomach that erodes its protective mucous layer. This erosion leads to the activation of certain immune complexes that induce inflammation. The damage to the gut wall also activates the reactive oxygen species or oxygen radicals that attack the healthy cells and cause further damage. Fennel seed oil or fennel seed alcoholic extract has been shown to exert both anti-oxidative and anti-inflammatory effect on experimental subjects. It has been reported that fennel seeds enhance the activity of glutathione, a compound that actively scavenges the oxygen radicals . It also has the capacity to reduce the activity of peroxidases that promote the production of reactive oxygen species . Also, fennel essential oils contain a compound called pinene which helps in reducing the inflammation by blocking the inflammatory immune pathway in the stomach. It also reduces the activity of a pro inflammatory cytokine IL-8 in a concentration dependent manner . Fennel seeds are generally considered safe to consume after meals or as edibles in meals. Fennel oils, decoctions and teas are widely used to reduce stomach problems and other disorders. 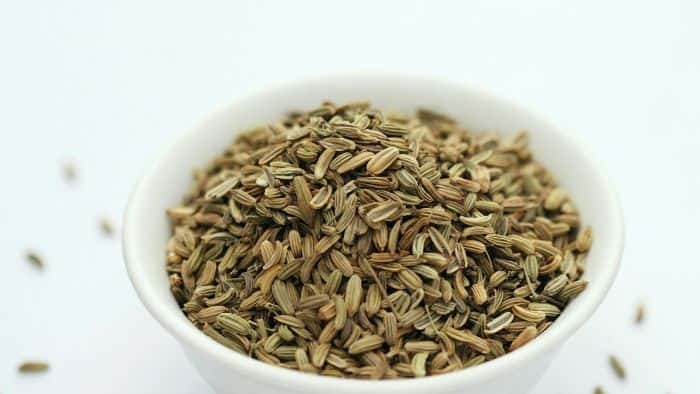 The most common dosage of fennel to prevent stomach disorders including heartburn is chewing half a teaspoon of dried seeds after each meal or more often. There is insufficient evidence for the maximum dosage and side effects which is why it is advisable to keep the dosage low. Fennel tea decoctions can be prepared by boiling about half a teaspoon (about 3 grams) in water for 15 minutes, cooling, straining and drinking the same 2-3 times a day. Again, not much research has been done on the safety of the tea so the dosage should be kept minimum of healthcare provider should be asked for suggestions. Fennel oil is available in the market and should be taken as directed on the label . Fennel is mostly safe when taken by mouth as dry seeds, in meals, as tea or oil. Some people may have allergic reaction to the herb. People who have allergy to plants such as carrots and celery are more likely to have allergy to fennel as well. Not enough is known about the effect of fennel in pregnancy but is considered likely unsafe for breast feeding mothers as it may harm the baby. For most children and infants, fennel doesn’t show any side effects but the duration of its dosage should be consulted with the doctor as there are no sufficient reports on its consumption. Fennel contains a compound called estragole which may act like estrogen. Thus, in case of a condition that is made worse by estrogen, fennel should not be used. Fennel may also reduce blood clotting. Taking fennel may increase the risk of bleeding and bruising. People who are on drugs that reduce clotting should not take fennel as it may enhance the effect of the drug. There is insufficient evidence for the side effects of fennel and its allergic reactions which is why it is advisable to stay on the safer side and consult a doctor in case of any doubt before consuming the herb in any form . Fennel is a widely used highly effective herb that helps with stomach disorders including heartburn. It shows antispasmoic, anti-oxidative, anti-inflammatory and carminative effects on the gut which effectively reduces pain due to heartburn and its other consequences. Though fennel is generally considered harmless, there is insufficient evidence for the ideal dosage, medicinal interactions and its side effects which is why it should be consumed carefully and preferably with a doctor’s consent.